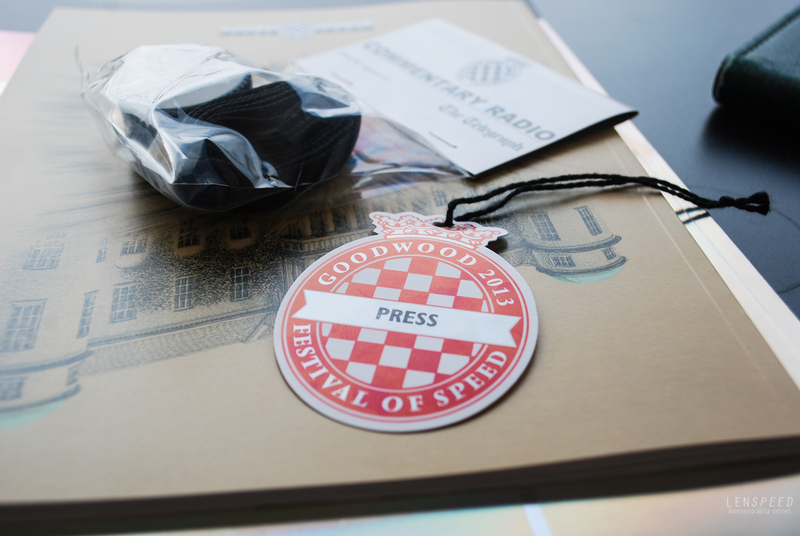 Attending the Goodwood Festival of Speed (FoS) has to be every petrolhead’s must-do in their lives. The UK’s automotive industry may have declined in the 80’s and 90’s, but recently it has witnessed a sterling revival and today not only is the industry one of the most vibrant in the whole of Europe, British car sales have also been more resilient than the rest of Europe’s. The British simply love their cars. The result is that interest feeding back into the FoS has been overwhelming, leading to a crowd of hundreds of thousands heading towards the South Coast over the festival weekend. It is a massive undertaking logistically, something that is certainly unprecedented from when the FoS first began life at Goodwood House. 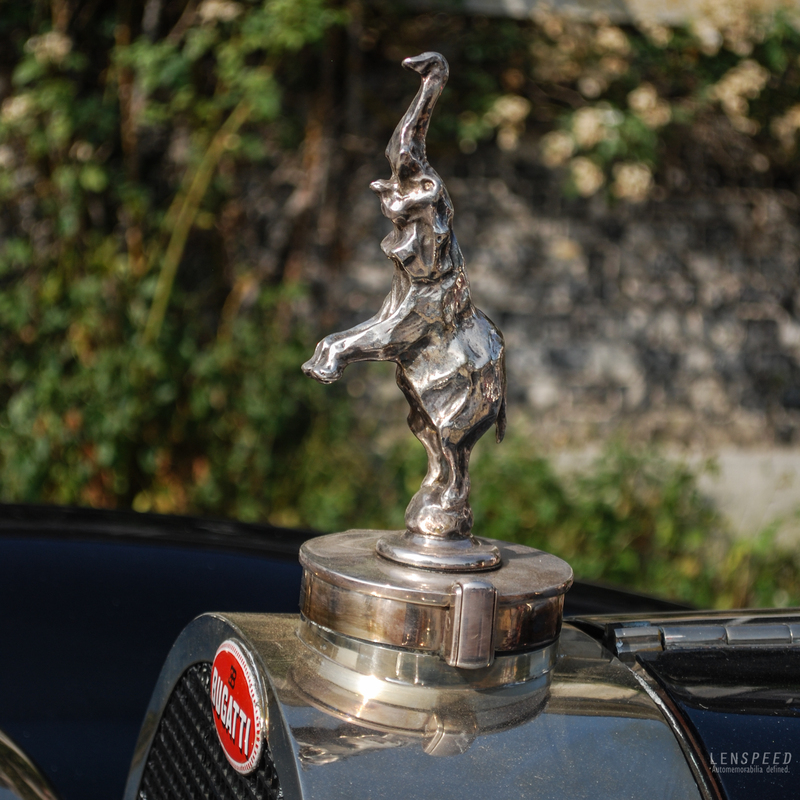 But it is a well-deserved interest – you will not see another festival like this anywhere else in the world, where every form of motorsport converge together in a shared spirit of the love of machines. That is why people from all over the world also fly in to attend the festival. I attended FoS last year and wrote an article for a magazine while at it. 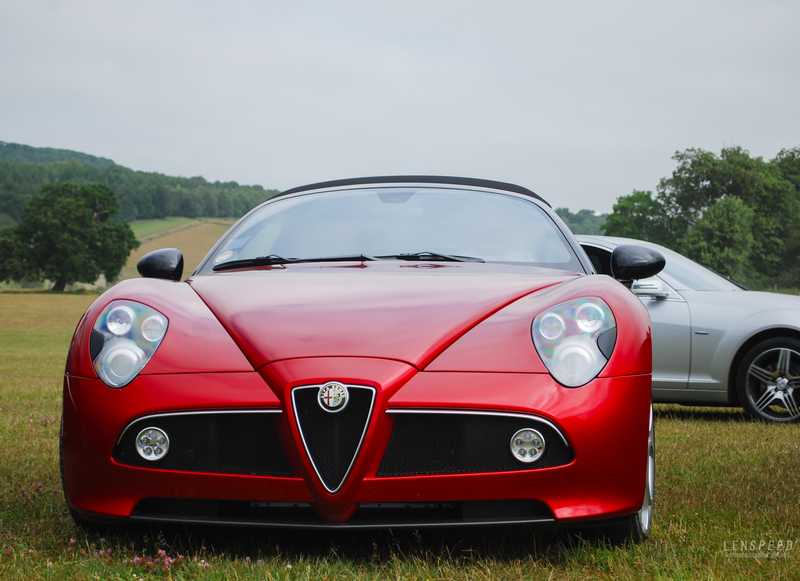 However, while at FoS I also took nearly 2,000 photos, and eventually only a handful were published. What a waste, right? 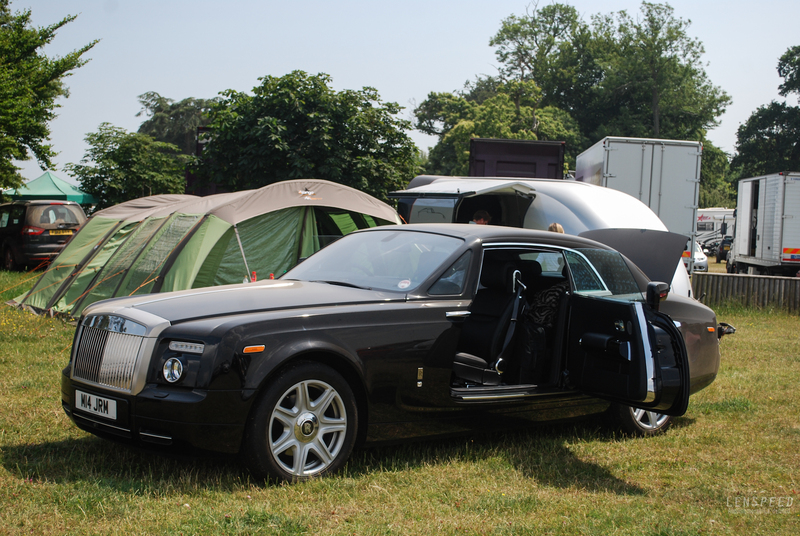 Well, while we all wait in anticipation for 2014’s shindig this weekend, here’s a little photo-taster of the Fos. The photos came in handy after all! 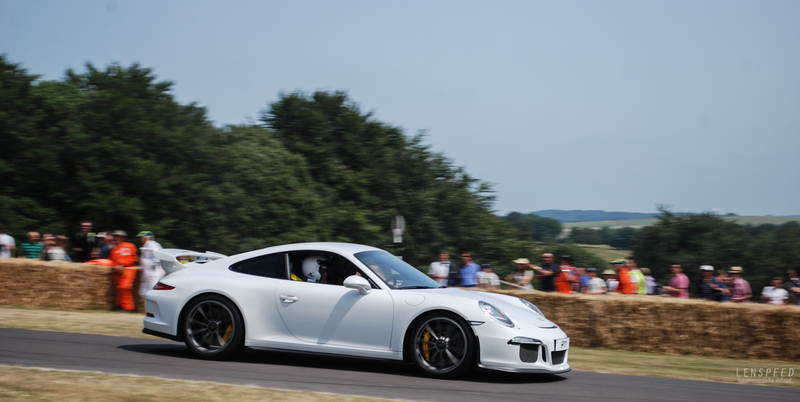 And this 991 GT3, before it got recalled for its burning engines! You’ll also get to sit in all of the latest models. 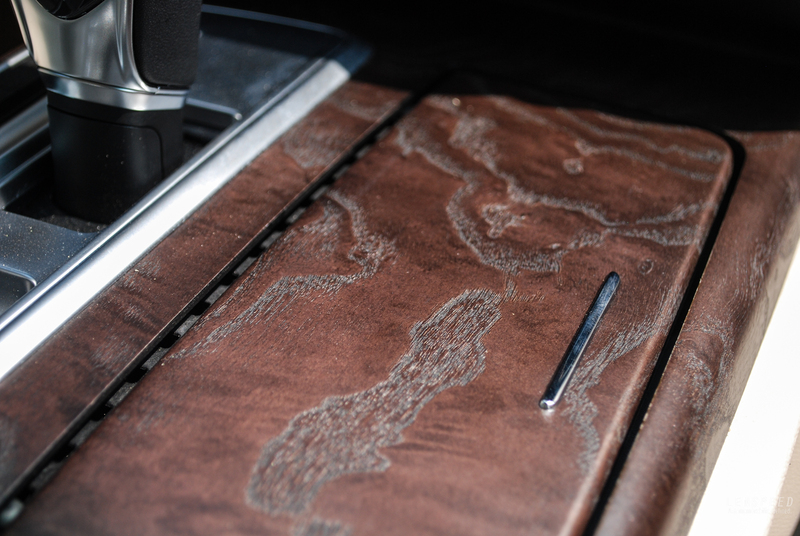 Inside the press centre there was the Ghibli to fiddle about with, and this is an interesting piece of unpolished wood trim in the car. Can’t imagine how it’ll look like 20 years from now! 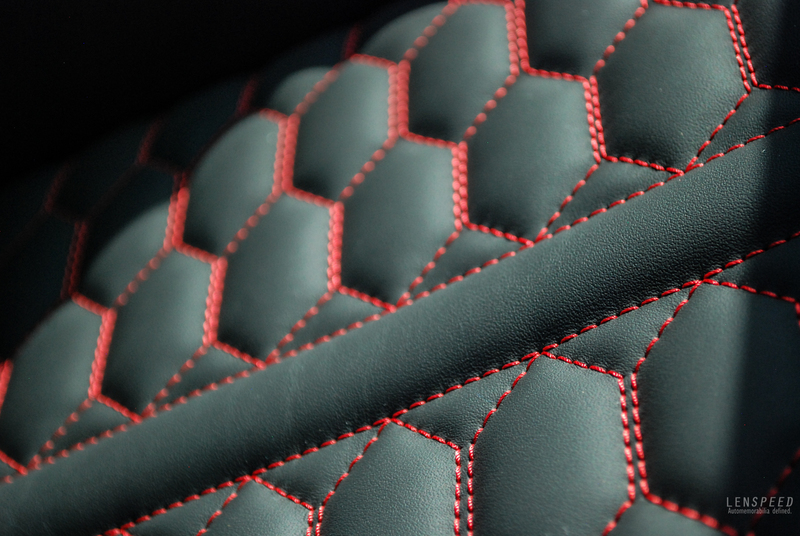 We also felt cossetted in Audi’s quilted leather in the new RS7. 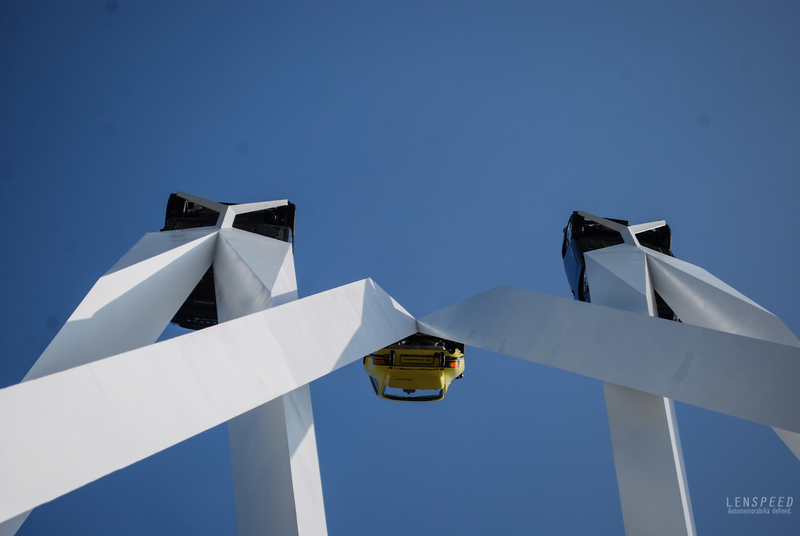 You’ll see experimentals like the Volkswagen XL1 too. 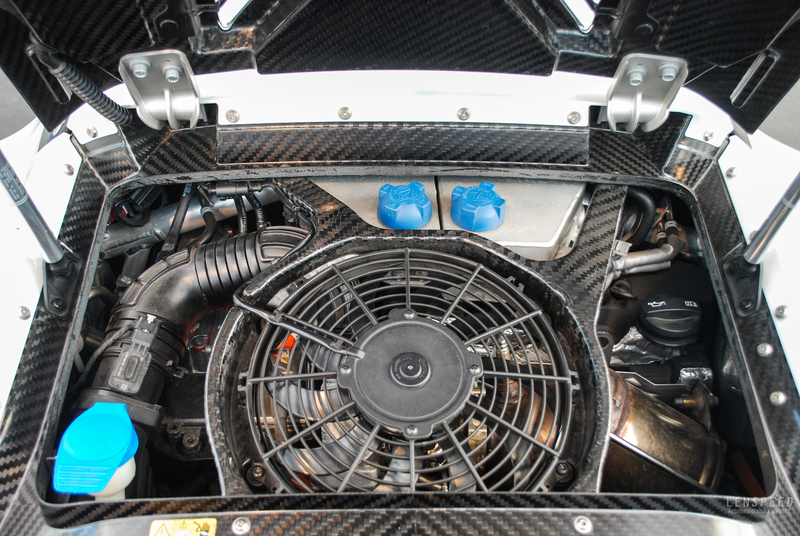 This, by the way, is the carbon-fibre lined engine bay of one of the most efficient cars in the world. You can sure see where the weight saving comes from. 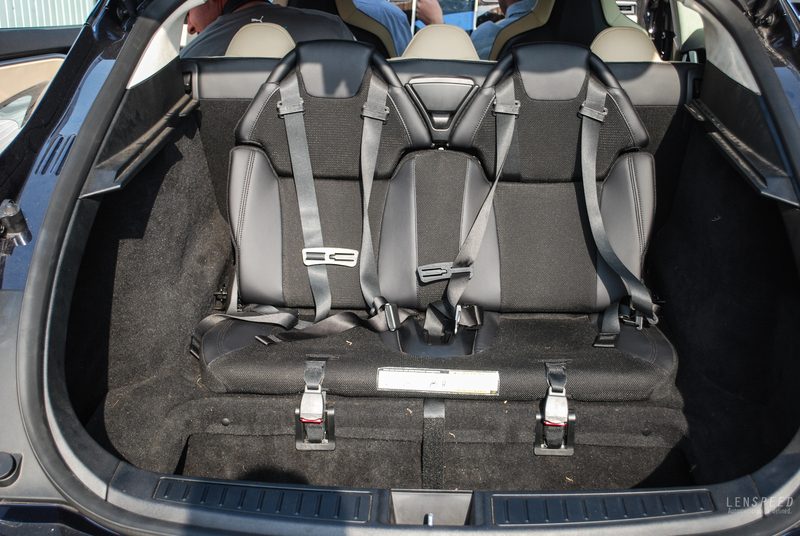 Back then Tesla was just launching in the UK, and these are the two third-row rear seats of the otherwise conventional Model S. Today Tesla sells the RHD Model S in the UK. 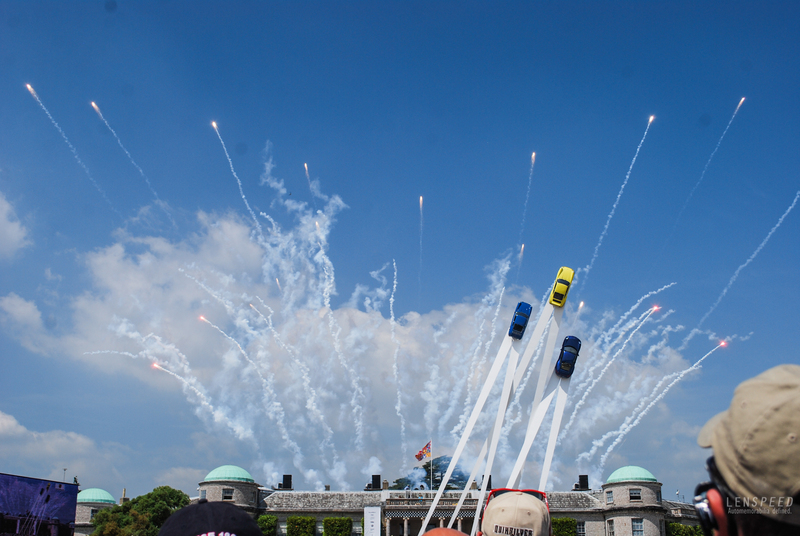 Porsche was the title sponsor for 2013’s event, and they decided to hang 3 of their cars in the air. Nifty. 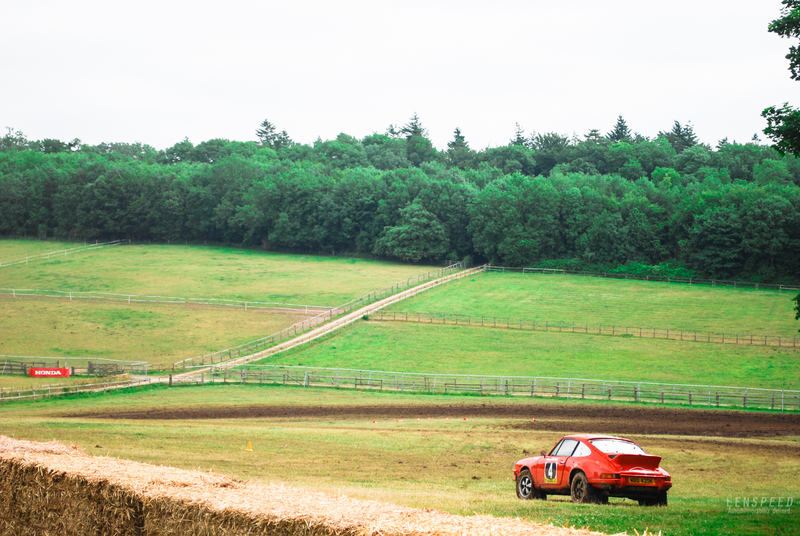 Rallying is one of the motorsports widely represented at FoS, and many people miss the opportunity to sneak into the forest to watch these cars pass by you at just a stone’s throw away. 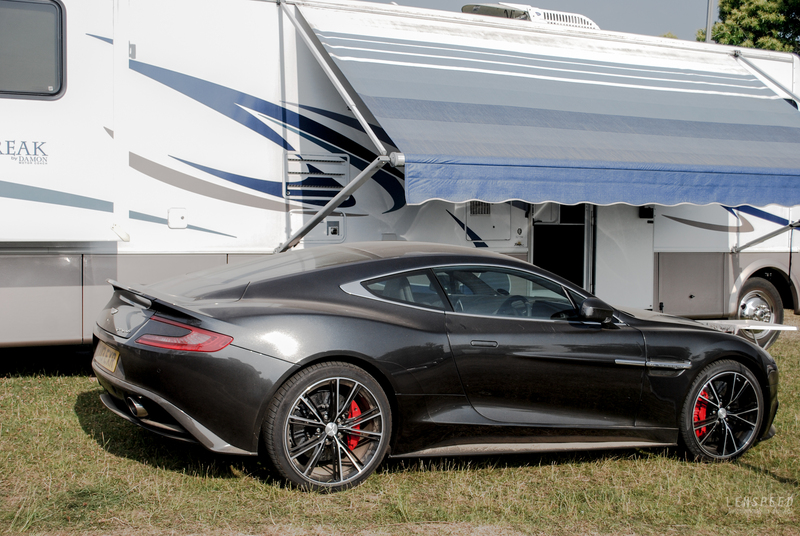 You get so close you can even feel the vibrations from the loud unrestricted exhausts. Think Group B level of spectator-ship. Beware of the dust though – you may come out done and dusted! 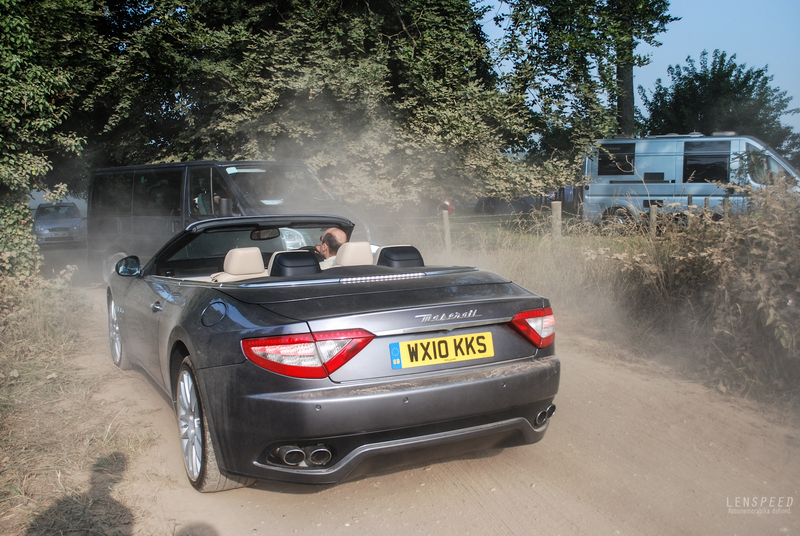 Of course, not everybody enjoys the dust, and this guy must be sulking in his Maser! 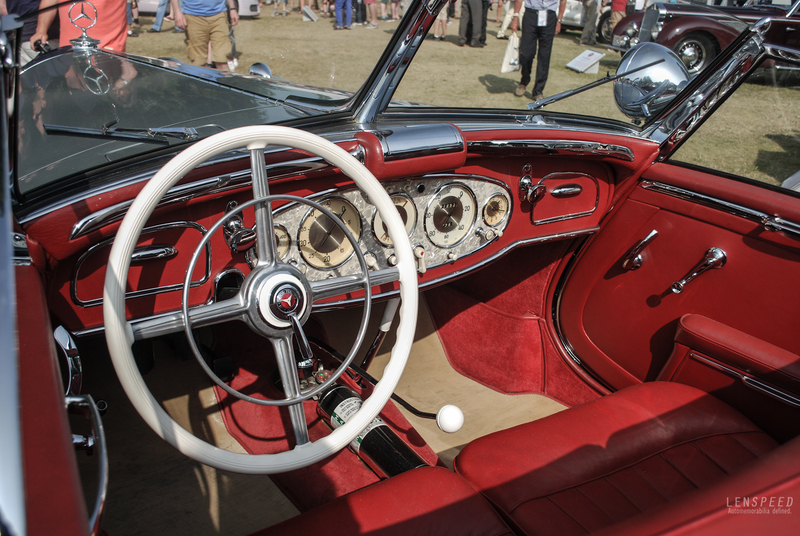 Oh, and if you love your classics, you’ll be well catered for too. There’s a whole grassy field filled with priceless specimens. What a sweet looking Speedster! Besides a hillclimb, you can also see your favourite cars doing their thing around a narrow circuit that crosses much of the grounds. They’ll be civil sometimes, but to please the crowds burnouts are common! 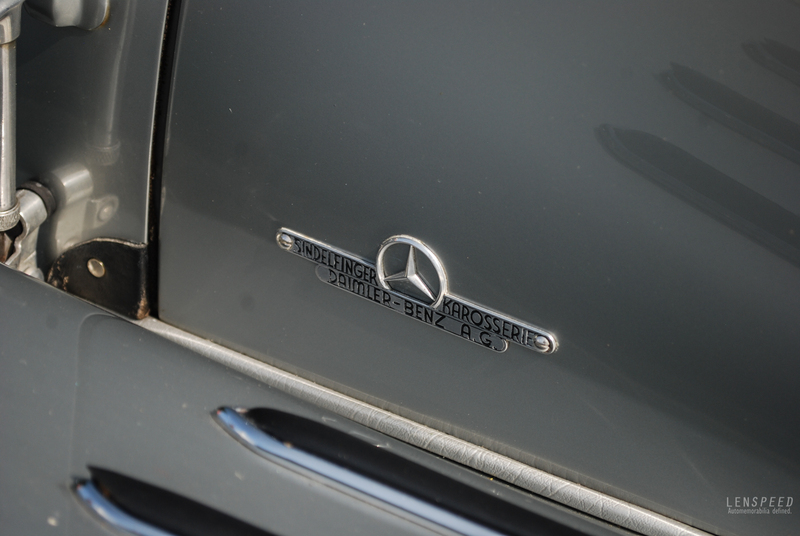 Or you could see Sir Stirling Moss in his priceless Merc. 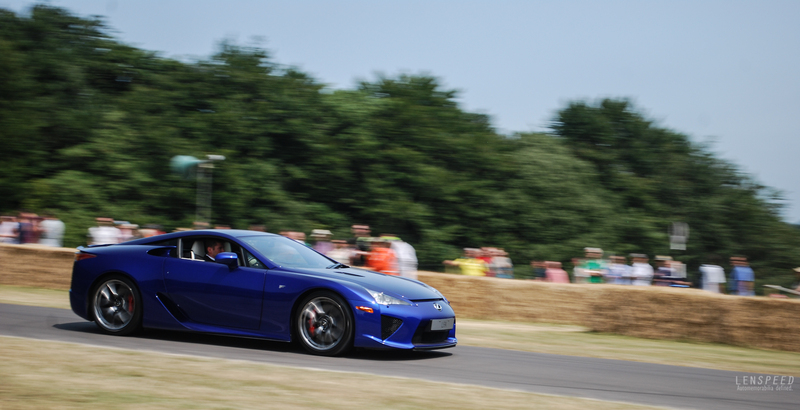 This press LFA has certainly made its rounds in the UK! And there’s that, the best pictures I have. I have so many more, but hopefully this will give you a good idea of how it’s like. It may feel like a haphazard place, with a million things happening at the same time, so my advice is to pick and choose carefully what you want to see the day before. You’ll be so distracted on the day itself you may end up watching something you don’t really want to see and missing your favourite part of the show. Also, you can’t see everything over a day – choose your areas to focus on for each day to minimise walking. It’s a real effort to be walking up and down that hill if you don’t plan your days! 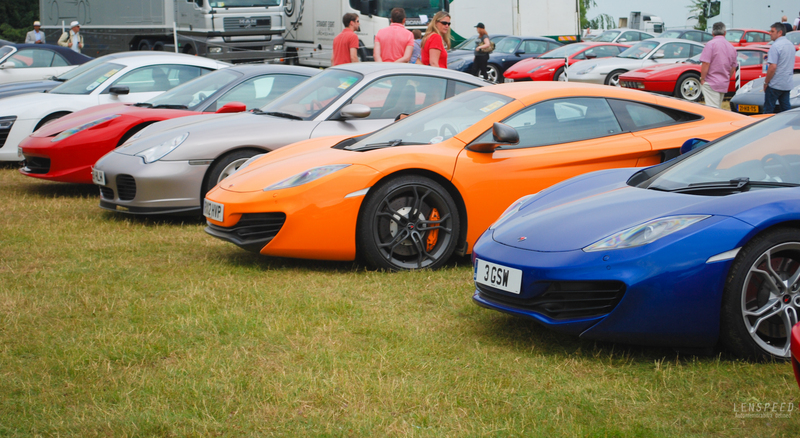 There is something for everyone at the FoS. It’s an incredible experience to be savoured – don’t miss it! One last Top Tip: book accommodation way in advance. I got lucky and managed to find a place in a university hostel, but most people book almost a year ahead.